Find exciting driving trails, hiking trails, camping areas, ghost towns, fishing spots and more! 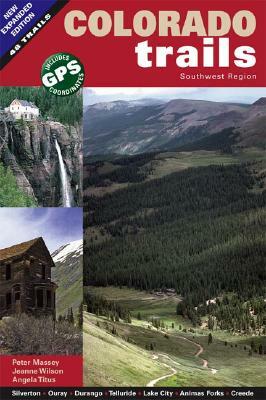 This ALL NEW FULL COLOR edition of the Colorado Trails series includes meticulous trail details for 867 miles of the region's best scenic backroads and four wheel drive trails in southwest Colorado, near the towns of Silverton, Ouray, Durango, Telluride, Lake City, and Creede. This edition contains 17 additional trails PLUS 48 new topo maps for each trail. See amazing ghost towns such as Animas Forks, numerous old mines and mill workings, old railroads and stage lines along the 48 exciting routes. INCLUDES GPS coordinates and trail ratings for difficulty, mileage, driving time, remoteness, and more. Publisher: Adler Publishing Company Inc.